The West Philadelphia Coalition Against Islamophobia is raising money through a GoFundMe campaign to donate books featuring Muslim children to local neighborhood elementary schools. 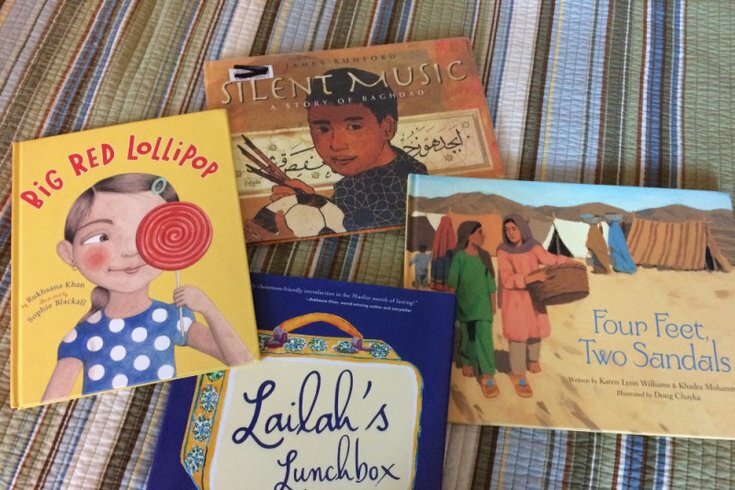 A West Philadelphia mom and organizer with the grass-roots group West Philly Coalition Against Islamophobia is spearheading a fundraising effort to get books featuring Muslim children into Philadelphia schools. Melanie Bartlett, who is raising her daughter as a Muslim, launched a GoFundMe with a goal of $5,000 to get about 15 different children's book titles in as many Philadelphia elementary schools as possible, starting with several West Philadelphia schools that enroll a high percentage of Muslim students. The books have been selected based on community recommendations (Bartlett is still looking for more that feature African-American Muslim characters) with story plots that touch on an array of topical issues, like immigration, language barriers and cultural identity, that many families in America face today. Bartlett told West Philly Local she’s hoping to get the books into the targeted schools before the start of Ramadan, which is May 26 this year. Her reason for the campaign, she said on the GoFundMe page, is to dispel Islamophobia by teaching children understanding and acceptance. As of Thursday, approximately $4,400 has been raised toward the goal, and any additional money will be used to expand the book drive to include more Philadelphia schools.